We’d love your help. Let us know what’s wrong with this preview of Elizabeth by J. Randy Taraborrelli. An insightful biography of a true screen legend, this book covers Elizabeth Taylor's journey through the dark and often lonely world of a fame unparalleled in the 1960s and 1970s, a time during which alcohol and drugs played a major part in her life. To ask other readers questions about Elizabeth, please sign up. Does this book discuss her friendship to the late Michael Jackson ? Wow! I really enjoyed learning about Elizabeth Taylor. I'm fascinated by her lifestyle...and some parts of her I adore, like her steady determination, wry sense of humor, and willingness to fight for a cause (like AIDS). However, as in every person, Elizabeth clearly has her flaws. I absolutely loathed reading continually about her strict anti-feminist attitude. Being someone that is fiercely feminist and tends to get angry at wives who kowtow to husbands, I was shocked. She continued to accept Wow! I really enjoyed learning about Elizabeth Taylor. I'm fascinated by her lifestyle...and some parts of her I adore, like her steady determination, wry sense of humor, and willingness to fight for a cause (like AIDS). However, as in every person, Elizabeth clearly has her flaws. I absolutely loathed reading continually about her strict anti-feminist attitude. Being someone that is fiercely feminist and tends to get angry at wives who kowtow to husbands, I was shocked. She continued to accept horrible traits of her husbands, like continued physical and emotional abuse, obsessive controlling, and even husbands using her fame to their advantage (I believe this to be true with Warner, who used her presence to gain political popularity during the first part of their marriage, and then virtually ignored her for the remainder of their marriage. I also resented the way that Elizabeth completely changed herself just to please Richard Burton! True love or not, changing your entire being to impress someone is not admirable, to say the least. Despite my shock and irritation at such factors in Elizabeth's life, I felt that this book was supposed to be well-written. The author seems to have respect for Elizabeth, as do I, so they write accurately. However, I feel that a much more powerful book, with fewer words, could have been written. Instead of focusing on the raw, dynamic emotion of Elizabeth's life, he reports facts in a manner that I perceived to be somewhat dull. In other words, his style bored me. I finally finished this mighty bio-tome! Long term, I'm not much for non-fiction so I think it says a lot about the author that he kept me completely interested in Elizabeth Taylor (don't call her Liz, she doesn't like it) throughout all of it. Granted, Ms. Taylor does have quite an interesting life, eight marriages and Michael Jackson aside, so perhaps his work was laid out nicely for him. I thought the author did a great job balancing the writing of her life, marriages, demons, movies and cause I finally finished this mighty bio-tome! I thought the author did a great job balancing the writing of her life, marriages, demons, movies and causes, never staying with one portion too long and often restating to remind the reader about something they read 200 pages before. Not a bad biography. Enjoyed learning more about Elizabeth Taylor. Got a little slow at the end, but still an enjoyable read. Elizabeth Taylor has to be the most extravagant and willful person Hollywood has ever endorsed. And I love her for it. This biography chronicles her life in physical and emotional ways. You get the facts and also the stories and opinions that went along with them. You laugh in amazement and wonder and think to yourself "No effing way" when you hear of some of the truly ridiculous and over the top things that she did just for the sake of glamour. You also get to see the very quiet and insecure si Elizabeth Taylor has to be the most extravagant and willful person Hollywood has ever endorsed. And I love her for it. This biography chronicles her life in physical and emotional ways. You get the facts and also the stories and opinions that went along with them. You laugh in amazement and wonder and think to yourself "No effing way" when you hear of some of the truly ridiculous and over the top things that she did just for the sake of glamour. You also get to see the very quiet and insecure side of the famed and beloved actress as she wrestled with her demons (Physical and psychological) and tried to find love (even if you think she went about it all wrong.) It astounded me when I found out that she was in several physically abusive relationships even if that was the norm back then. I mean she was Elizabeth Taylor for christ's sake! Fascinating look (albeit a simple one) from the first page onward. The writer's prose elegantly provides insight into not just the actress, but those close around her. The great love affair of Liz Taylor and Richard Burton is detailed and gripping. I'm not usually a reader of biographies, much less one on an arguably vapid person. But the author spins it in a way that is interesting and touching. I think it would be pretty hard to write a boring book about Elizabeth Taylor. She was just so interesting, not to mention incredibly flawed. The writing (or narrating in this case–I got this in audiobook form) was obviously skewed in Elizabeth’s favor, even when she clearly in the wrong. You could tell the author had a lot of affection for her and her life story. The writing was romantic without being sensational. Elizabeth was an interesting book to listen to. The three main emotions that I fel I think it would be pretty hard to write a boring book about Elizabeth Taylor. She was just so interesting, not to mention incredibly flawed. The writing (or narrating in this case–I got this in audiobook form) was obviously skewed in Elizabeth’s favor, even when she clearly in the wrong. You could tell the author had a lot of affection for her and her life story. The writing was romantic without being sensational. Elizabeth was an interesting book to listen to. The three main emotions that I felt while listening was; sadness, annoyance, and, injustice. Sadness about the way she was raised, with an overbearing stage mother, and a passive father. Her mother spent so much time trying to give Elizabeth the career that she never got, that she never had a childhood. Elizabeth spent so much time acting, that it took her a long time to understand social and romantic relationships. I felt sad about the fact that her body deteriorated so quickly that by the time she was in her fifties, she had to have both hips replaced. I was sad about the fact that she ended up having seven husbands. Perhaps if Mike Todd hadn’t died, three might have been her lucky number. But, that’s probably unlikely. Every time Elizabeth made a glaringly bad decision when it came to her husbands, I always became annoyed at her parents, Sarah and Francis. Their marriage and the way Francis let Sarah raise Elizabeth set up a foundation that would have never ended up good. I mean, Sarah had Elizabeth’s studio find her a first date! That’s insane! The author made a point to always relate the way Elizabeth interacted with her husband’s to her parent’s marriage and how she was trying to find a man that supported her like her father never did. I still became annoyed having to her sabotage all of her marriages and live her life obsessed with Richard Burton. Even after he died, she couldn’t stop thinking about him. The feeling of injustice was again tied to Elizabeth’s childhood and husbands. After the birth of Elizabeth’s last child, it caused her body so much damage that if she became pregnant again, it would kill her. So her doctor as her current husband if he wanted her sterilized. How ridiculous that Elizabeth was never to be in control of herself and her body. Instead of her mother making all of her decisions, it was her husbands. If not her husband, then it was booze or the pills. It was very rare for Elizabeth to make decisions for herself and just herself. She eventually did so and was one of the reasons that AIDs and HIV were finally spoken in public in the 80s. It's always nice to escape from reality in the excesses of celebrity but this biography isn't exactly that. It's interesting to read about a fairly complex figure with all the privelege in the world just as lost as the rest of us. I’ve always liked Elizabeth Taylor and often wondered about her colorful life and many marriages. This book explains a lot. It was long. She had an interesting life and got married a lot but personally I thought she was a brat. This is one for Elizabeth Taylor fans; the research is done well - though this one unfortunately didn't catch my interest as I initially thought it would. Ordinarily, readers might question the logic of a new tome on a celebrity who already has at least six full-length biographies (and four self-penned books) devoted to her life, but Elizabeth Taylor has never been ordinary. Readers will easily understand why tabloids have chronicled her escapades for six decades: her roller-coaster life could easily read like a high-sheen soap opera (the eight marriages, two Oscars, suicide attempts and innumerable life-threatening illnesses that led to years of a Ordinarily, readers might question the logic of a new tome on a celebrity who already has at least six full-length biographies (and four self-penned books) devoted to her life, but Elizabeth Taylor has never been ordinary. Readers will easily understand why tabloids have chronicled her escapades for six decades: her roller-coaster life could easily read like a high-sheen soap opera (the eight marriages, two Oscars, suicide attempts and innumerable life-threatening illnesses that led to years of alcohol and prescription drug addiction before she became the first celebrity to check into the Betty Ford Clinic). But Taraborrelli, a sympathetic biographer, rescues the subject by looking for psychological and emotional motives behind her actions. Taraborrelli can be overprotective of Taylor (he notes her reviews for Cleopatra were "so vicious that they are not even worth memorializing here") but more often, he's a superb storyteller who is also an enthusiastic fan. The book is a fitting tribute to a woman who has lived and loved with abandon but who found real passion and purpose when she embraced AIDS activism in 1985, helping to destigmatize the disease and creating her own AIDS foundation. Taraborrelli's chatty prose (and bite-size chapters) perfectly complement Taylor's glamorous life of highs and lows to create an irresistible and inspiring tale. Lynne Maclean's precise and nimble reading makes it nearly impossible for listeners to resist the pull of Taraborrelli's compassionate chronicle of the wild and tempestuous life of Elizabeth Taylor. With her more than a half dozen full-length biographies and five decades as tabloid fodder, most listeners will be well acquainted with surface events in Taylor's life. There are the eight marriages (five of them before she was 32), the affairs, multiple suicide attempts, decades of life-and-death health issues, the jewelry collection and finally her AIDS activism. Taraborrelli's strength as a biographer is his tenacity to dig beneath the surface to find the motivations and insecurities behind Taylor's actions, and his care helps listeners discover the dynamic charisma and good humor that have attracted men and moviegoers to her. An American icon, Elizabeth Taylor has been a part of our lives for more than six decades. A child star and part of the old Hollywood studio system, she learned her lessons at her mother Sara's knee. Without her guidance—and some might say diligent control—she might not have become the legendary star that she is. In "Elizabeth," by J. Randy Taraborrelli, we get to peek behind the scenes into those magical moments that have comprised her life. But we also see the scandals, the pain, and the repeat An American icon, Elizabeth Taylor has been a part of our lives for more than six decades. A child star and part of the old Hollywood studio system, she learned her lessons at her mother Sara's knee. Without her guidance—and some might say diligent control—she might not have become the legendary star that she is. In "Elizabeth," by J. Randy Taraborrelli, we get to peek behind the scenes into those magical moments that have comprised her life. But we also see the scandals, the pain, and the repeated attempts to find a lasting love—and without those glimpses, of course, the picture would be incomplete. The story carries us through the decades, and is told in a conversational tone; as a result, we feel as though we've lived alongside her. We revel in her successes and feel despair at her pain. And triumph in her ability, after all these years and despite all of her health issues, that she has risen to her most inspirational incarnation yet—AIDS activist and business tycoon. In some ways, the story feels incomplete; probably because, while it seems to sweep across the decades and fill in any blanks in our knowledge, it does seem to lack the strength of the subject's own voice. Yes, there are the quotations and the references to her feelings and opinions, but they feel "borrowed" from other sources. The author does acknowledge the sources and references, and I did enjoy the updated information on what she, her living exes, and her grown children are currently doing...these were important to add closure to the tale. It does seem to be a step-up from many tabloid pieces, and presents both positive and negative aspects, lending a twist of reality to what would otherwise be just another Hollywood celebrity piece. We do get a glimpse into some of the subject's interior life and the growth she has managed to achieve. And the author delves into some of the psychological and emotional roots of the star's pattern of serial marriages. J. Randy Taraborrelli did an excellent job with this biography. It was well reasrched and well structured, and all his information seemed fairly accurate. Mostly, he kept it interesting. The great thing about writing about Elizabeth Taylor is that there's not much need for embellishments. After all, the woman was married six times. She was gorgeous practically her whole life, but she was also smart. (In addition, we have Elizabeth Taylor and Richard Burton to thank for the first real "it" couple. Take that Bragelina!) I've come to enjoy and trust Taraborrelli's work, and this is no different. I found this book on a fence post on the sidewalk in Center City, Philadelphia. I had just moved, and didn't have a library card yet because I didn't have an address at the time. So I was desperate for reading material. I knew three things about Elizabeth Taylor: her name, her face, and her job. I can't say I was particularly interested to find out more, either. But I'll give any book a chance. Elizabeth is well-researched and well-written. It's also 464 pages long. I enjoyed parts of it, and par I found this book on a fence post on the sidewalk in Center City, Philadelphia. I had just moved, and didn't have a library card yet because I didn't have an address at the time. So I was desperate for reading material. Elizabeth is well-researched and well-written. It's also 464 pages long. I enjoyed parts of it, and parts of it bored me. I'm sure living Elizabeth Taylor's life was thrilling, outrageous, and enjoyable. Reading about it? Not so much. For more than six decades Elizabeth Taylor has been a part of our lives. Now acclaimed biographer J. Randy Taraborrelli looks past the tabloid version of Elizabeth's life and offers the first-ever fully realized portrait of this American icon. You'll meet her controlling mother who plotted her daughter's success from birth...see the qualities that catapulted Elizabeth to stardom in 1940s Hollywood...understand the psychological and emotional underpinnings behind the eight marriages...and, finall For more than six decades Elizabeth Taylor has been a part of our lives. Now acclaimed biographer J. Randy Taraborrelli looks past the tabloid version of Elizabeth's life and offers the first-ever fully realized portrait of this American icon. You'll meet her controlling mother who plotted her daughter's success from birth...see the qualities that catapulted Elizabeth to stardom in 1940s Hollywood...understand the psychological and emotional underpinnings behind the eight marriages...and, finally, rejoice in Elizabeth's most bravura performance of all: the new success in family, friendships, and philanthropy she achieved despite substance abuse and chronic illness. It's the story of the woman you thought you knew--and now can finally understand. OK obviously I haven't picked up any Joyce or Dostoyevsky for my summer reading. The other one I read was the new Harry Potter, nuff said. I'm not apologizing but owning it! This was totally entertaining-- love Liz! Fave excerpt: The eye-witness account of Liz's 50th birthday party in New York in the early 1980's. This is when she was in her "fat stage" and was a raging alchoholic. Richard Burton shows up (they've been long since divorced)and is decrepit/on the verge of death from alchohol. Liz OK obviously I haven't picked up any Joyce or Dostoyevsky for my summer reading. The other one I read was the new Harry Potter, nuff said. I'm not apologizing but owning it! This was totally entertaining-- love Liz! I've loved Elizabeth since I watched "National Velvet" as a young, horse-obsessed girl. I knew that she'd had a busy life, but I had no idea! This book was a definite page turner, and I was captivated by Elizabeth's life. I really enjoyed learning more about her and everything she's gone through in her life. although some may say she was nothing but self centered and spoiled, I have even more respect for her after this book. She endured a lot and was almost molded into who she became, and it was I've loved Elizabeth since I watched "National Velvet" as a young, horse-obsessed girl. I knew that she'd had a busy life, but I had no idea! This book was a definite page turner, and I was captivated by Elizabeth's life. I really enjoyed learning more about her and everything she's gone through in her life. although some may say she was nothing but self centered and spoiled, I have even more respect for her after this book. She endured a lot and was almost molded into who she became, and it was tragic at times. I loved reading about everything she did in her later years too, especially her work as an AIDS activist. Taraborrelli did a great job of telling how Elizabeth Taylor became a star, and what made her become who she was as a person. Decently written, although it relies heavily on published quotes from other materials. At times, it felt like Taraborrelli was making excuses for her poor decisions, and the fact that the author is a huge Elizabeth fan certainly came through, which makes me doubt some its credibility. One really annoying thing is that the author references photos of Elizabeth in the text o Taraborrelli did a great job of telling how Elizabeth Taylor became a star, and what made her become who she was as a person. Decently written, although it relies heavily on published quotes from other materials. At times, it felt like Taraborrelli was making excuses for her poor decisions, and the fact that the author is a huge Elizabeth fan certainly came through, which makes me doubt some its credibility. One really annoying thing is that the author references photos of Elizabeth in the text on multiple occasions (photos that illustrate some point he's making or some timeline he's describing), but doesn't include those in the center photo pages in the book... why talk about a photo if you aren't going to show me? This is the first biography on Elizabeth Taylor that I've read, so I can't compare it to other books about her life. I enjoyed it alot, especially the chapters about her years with Richard Burton. I've always been fascinated with these two and their tempestuous relationship and feel that he was the love of her life, even though they just couldn't make it together for the long haul. 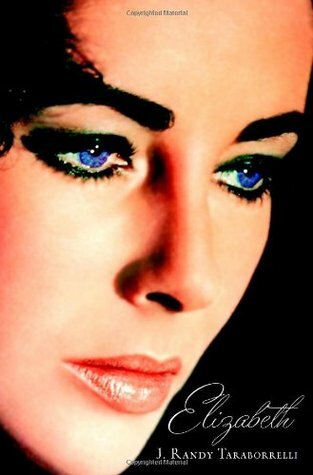 One thing I liked about this book is that it's divided into fairly short chapters that cover her life from early ch This is the first biography on Elizabeth Taylor that I've read, so I can't compare it to other books about her life. I enjoyed it alot, especially the chapters about her years with Richard Burton. I've always been fascinated with these two and their tempestuous relationship and feel that he was the love of her life, even though they just couldn't make it together for the long haul. One thing I liked about this book is that it's divided into fairly short chapters that cover her life from early childhood. The author seems to be genuinely fond of her and respectful, even when covering sensitive subjects. I seem to retain my interest in biographies and picked this book up as something to read while commuting on the train to work. From reading this book I have decided that I do not admire Elizabeth Taylor and will try to avoid being such self centered person. It is interesting to note that after Elizabeth went to the Betty Ford center to come off of drugs and alcohol she became a philanthropist and was an adamant AIDS activist. I wonder if this implies that human nature is inherently good. Overall I I seem to retain my interest in biographies and picked this book up as something to read while commuting on the train to work. I was not a massive Elizabeth Taylor fan before reading this book. I always thought she was a little bit high and mighty and as a Richard Burton fan I was always a bit more inclined to be Team Burton! However my opinion of Elizabeth Taylor has totally altered after reading this book. She wasn;t quite as black and white as all that and did admirable works for charity - espcially with reference to the AIDS charities from the 1980's onwards. I really enjoyed this book and it has inspired me to read I was not a massive Elizabeth Taylor fan before reading this book. I always thought she was a little bit high and mighty and as a Richard Burton fan I was always a bit more inclined to be Team Burton! I really enjoyed this book and it has inspired me to read more about her as a singular person rather than as a part of "Burton and Taylor". J. Randy Taraborrelli is an author known for biographies of contemporary entertainers and political figures. He is a featured writer in several entertainment magazines in Canada, England, and Australia. He also appears on television as an entertainment news reporter on shows such as Entertainment Tonight, Good Morning America, Today and CBS This Morning. Taraborrelli resides in Los Angeles, Califo J. Randy Taraborrelli is an author known for biographies of contemporary entertainers and political figures. He is a featured writer in several entertainment magazines in Canada, England, and Australia. He also appears on television as an entertainment news reporter on shows such as Entertainment Tonight, Good Morning America, Today and CBS This Morning. Taraborrelli resides in Los Angeles, California.